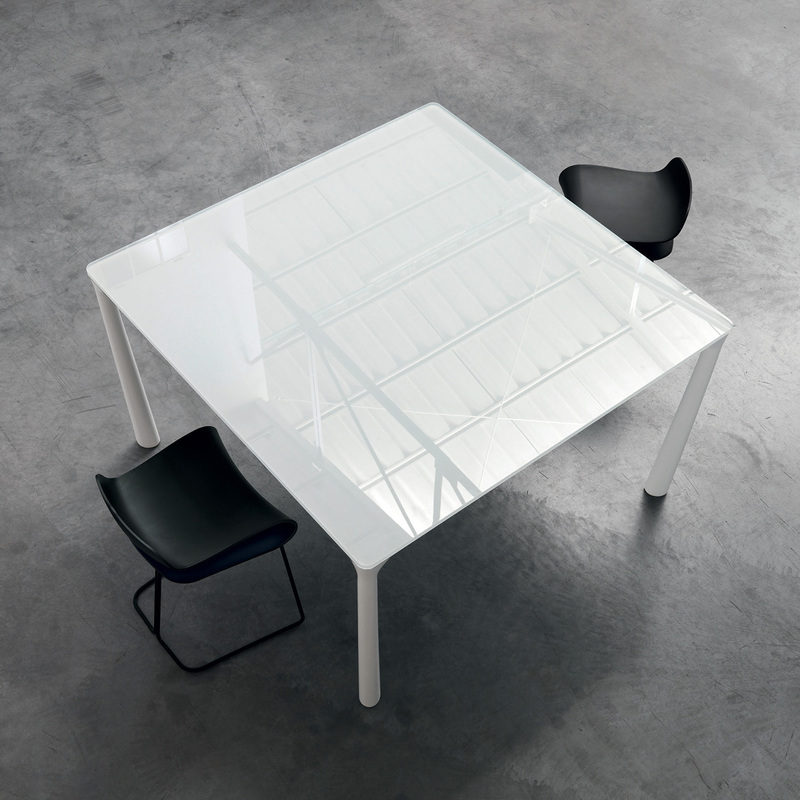 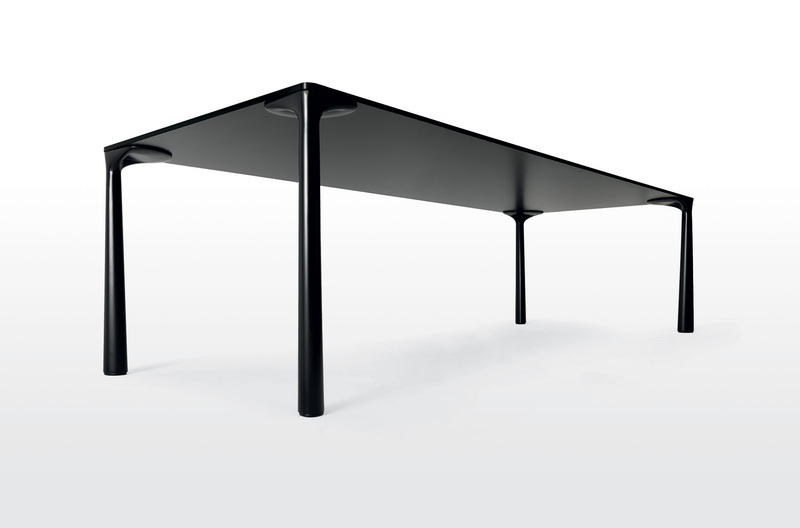 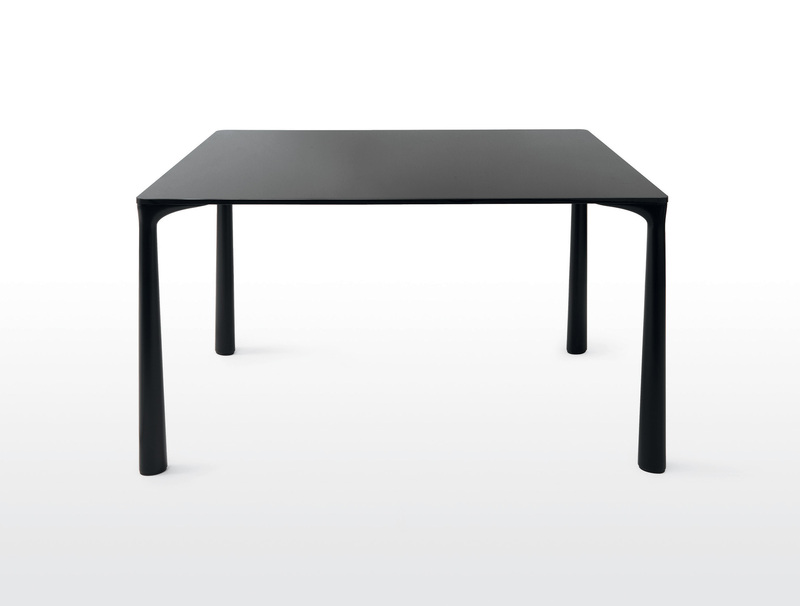 Square and rectangular tables with bearing structural top in 15mm-thick tempered glass, finished in different colours. 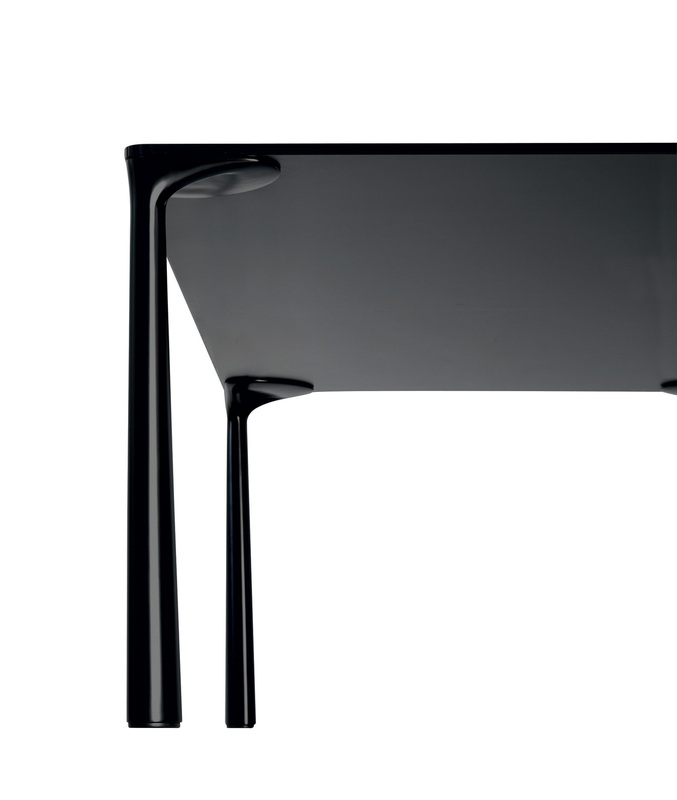 Legs are in lacquered cast aluminium. 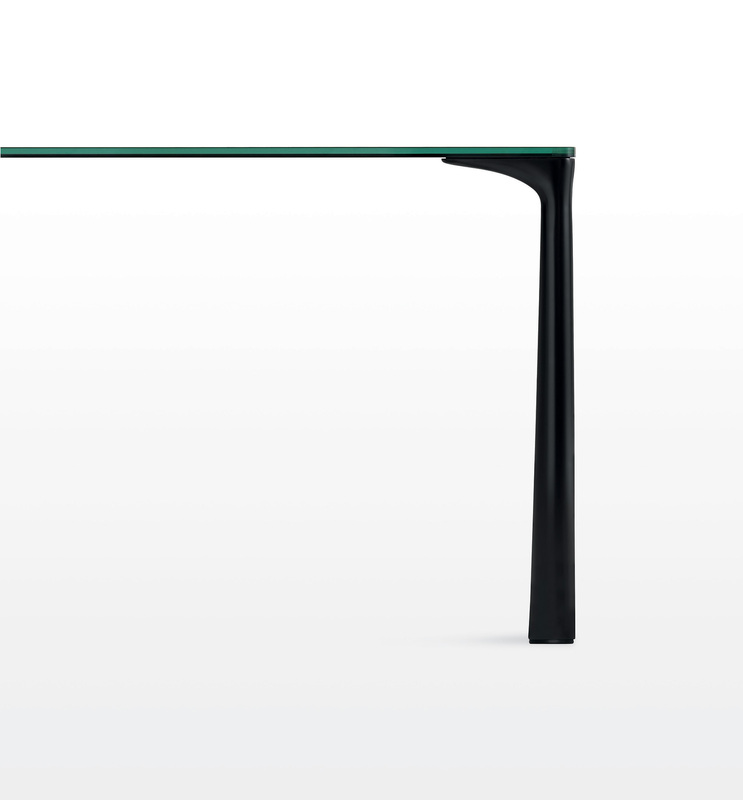 The flowing lines of the legs recall a flower’s delicate shapes; their union to the top by an uninterrupted line give these tables a light and essential design.